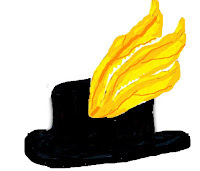 He had a mane of hair the colour of charcoal topped with a gold-plumed hat. When Tansy Thrift first encountered d’Chevalier’s hat, she was in a fragile state, having been almost trampled by the horse she’d been tending for several years. She wasn’t expecting d’Chevalier or his hat. Later, when she had to describe him to someone, the hat came to mind. 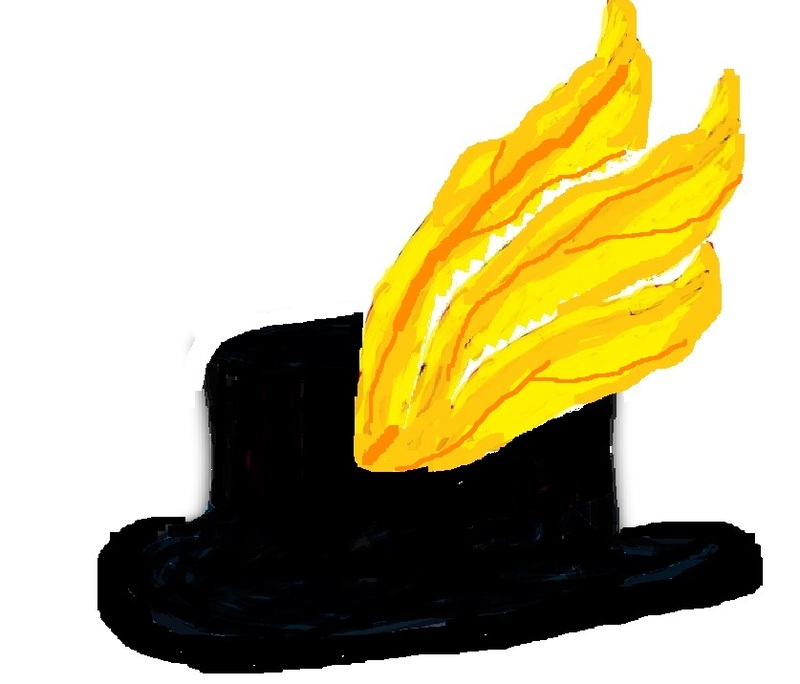 He had a black hat with red-gold plumes. The hat suited the rest of his garments, and usually stayed in place, but it nearly came to grief once when its owner was kissing his lady-love with a lot of enthusiasm. His horse decided to interrupt and what better way than to steal the hat? …embraced her with so much fervour his plumed hat fell off. The cream horse grabbed it in wicked-looking teeth and wagged it about like a dog with a toy. “Mon Beau Cheval, that is not good,” the man chided. He gave his girl another hearty kiss and a smack on the rump and retrieved his hat from the horse. D’Chevalier’s mother, in so far as he had one, was not impressed with his behaviour or his hat.